Monozygotic or identical twins naturally attract more attention from people. The Yoruba peoples have the highest rate of twinning in the world, at 45–50 twin sets (or 90–100 twins) per 1,000 live births, possibly because of high consumption of a specific type of yam containing a natural phytoestrogen which may stimulate the ovaries to release an egg from each side. Europe has a rate of 9 to 16 twin sets per 1,000 live births. Some twins are inseparable, almost identical in character as well as physical form, mischievously keen to mislead. Others develop differently, keen to explore and celebrate their own individuality. Now that is a statement that can easily be applied to whisky. Whisky from the same spirit run slowly develops into something individual. 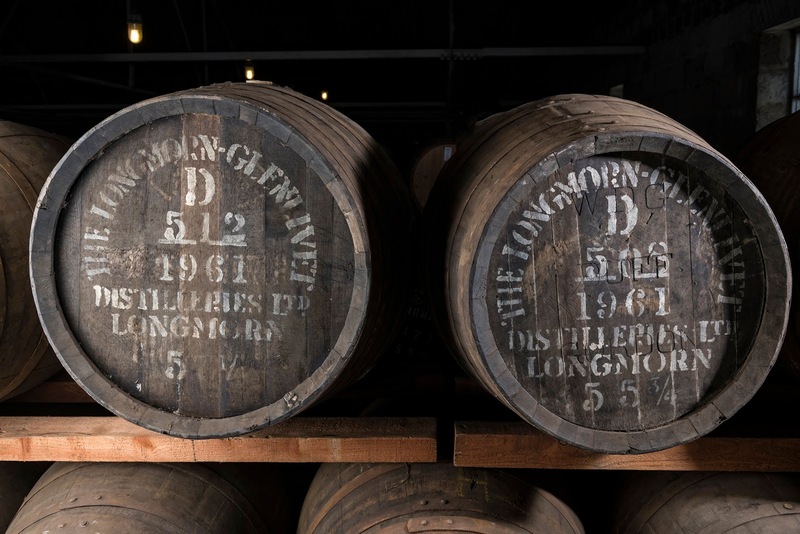 The main reason for this transformation: the casks nurturing the whisky. On the 2nd of February 1961, George Urquhart had these two first-fill sherry casks - one from European oak and another one from American oak - filled with Longmorn spirit. 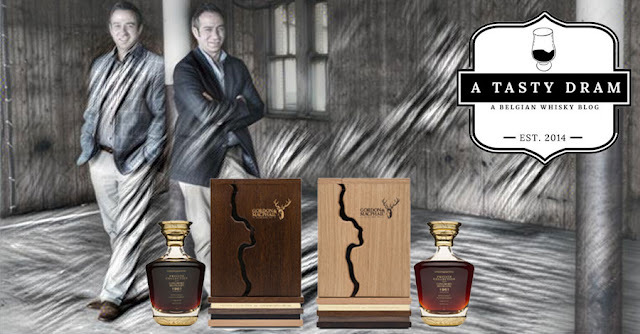 This was partly done to examine the influence of certain oak types on the final whisky. Exactly 57 years later, Gordon & Macphail's Stuart and Richard Urquhart unveiled those two casks for a "twin" Private Collection bottling. They are the grandsons of George and identical twins. 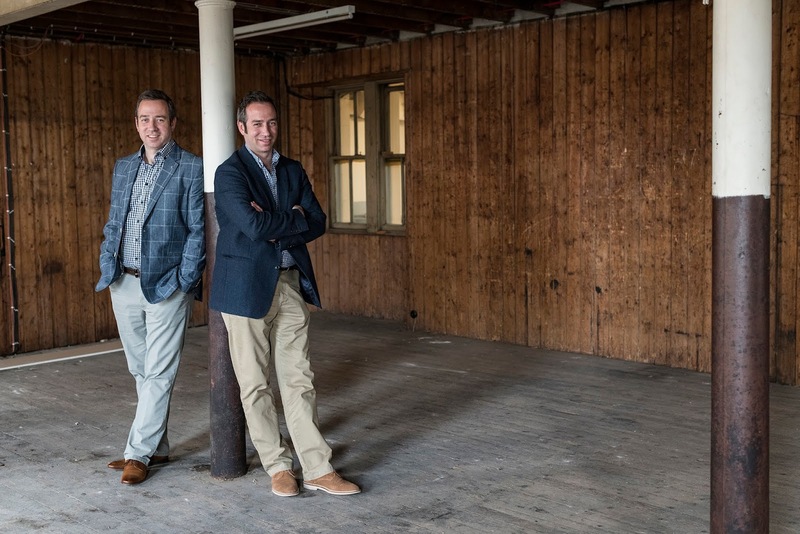 Stuart is Associate Director of Whisky Supply and Richard is Gordon & Macphail's International Sales Manager for Asia & Americas. 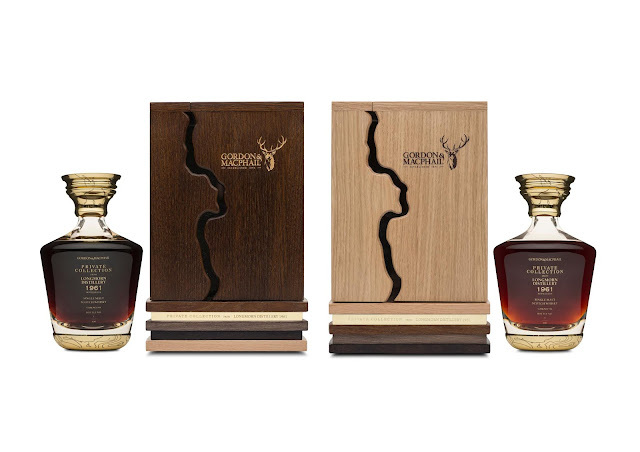 Both whiskies are bottled at cask strength and matured in first fill Sherry hogsheads, the whisky from Cask 508, selected by Richard, was nurtured in European Oak. Its whisky is a mahogany colour, with red highlights and exhibits a rich, abundant nose, bursting with complex aromatic flavours and perfumed top notes. The whisky from Cask 512 selected by Stuart, on the other hand, is rich chestnut in colour, gleaming with ruby and amber highlights. Matured in American oak, it is slightly sweeter on the nose and fruity on the palate, with notes of black cherry, raspberry, and dried vanilla. The Private Collection From Longmorn Distillery - the oldest Longmorn whiskies ever released by Gordon & Macphail - is available from today. 97 pairs of twin decanters have been bottled at cask strength. The price tag; £30.000.